In my effort to offset the winter blahs, I went back to my second trip to San Diego. On that trip, I had my camera with me (unusual because it was a business trip), hoping to photograph local flowers and trees as I explored the neighborhood around my hotel. Not surprisingly, I found flowers that I had never seen in the Chicago area I call home. I hope you enjoy these 5* selections. 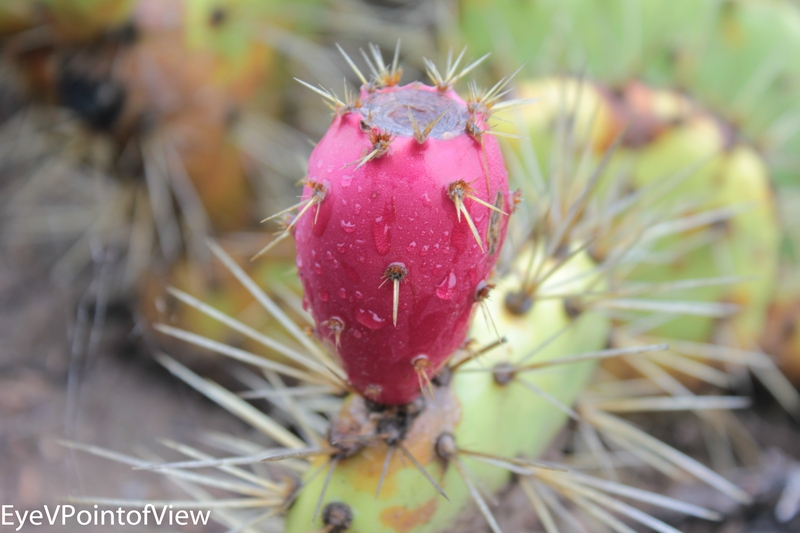 Prickly Pear Cactus – before the leaves on this cactus turn green and prickly, they are red, more bulbous, and still prickly. Who knew? I sure didn’t. And I love this image, where the morning moisture glistens on the ruby red bulb. Bottle Brush Tree – I had never seen anything like these uniquely flowered trees! Red is my favorite color, so a tree filled with red brush-like flowers caught my attention immediately. 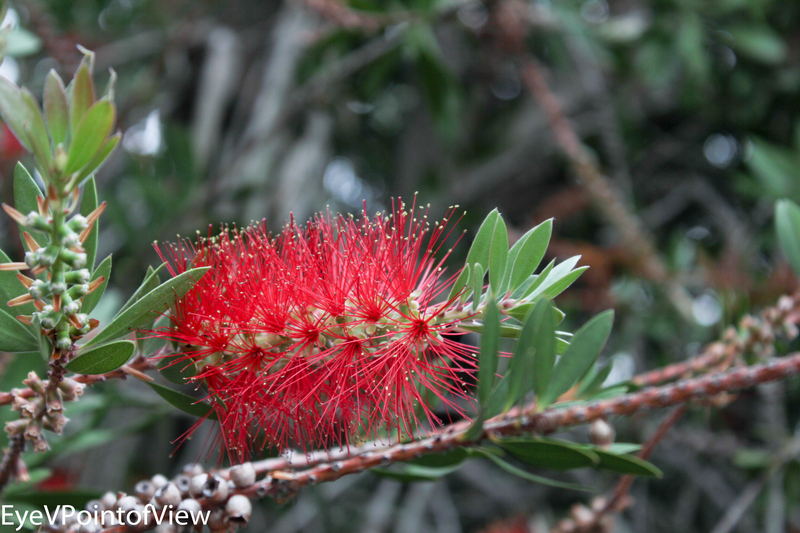 Their formal name is Callistemon, but why call them anything but bottle brush trees? 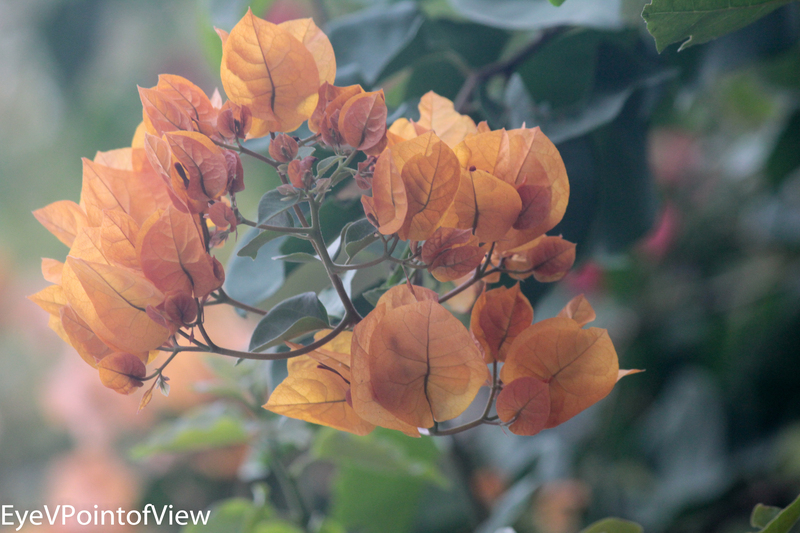 Sadly, I was so entranced by the flowers, I didn’t step back and get an image of the full tree! Next visit, for sure. Flowering Locust Tree (1) – The pale yellow leaves with the small flower in the center caught my attention as they peeked out over the top of fence. 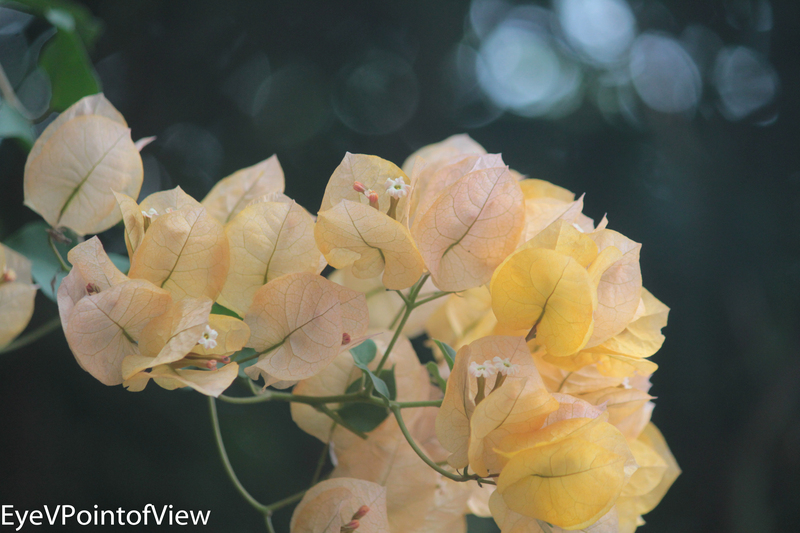 The cluster of flowers stood out in contrast to the dark green leaves of the locust tree. Flowering Locust Tree (2) – Ooooh, another one! This time the leaves are pink. This locust is known as a Purple Robe Black Locust tree, celebrating the colorful presence of the pink leaves. Flowering Locust Tree (3) – So with this grouping of images from the locust tree, I have captured the tree across a range of possibilities – newly flowering, in full bloom, and with this image, with leaves waning to their fall look. Drops of Sunshine — OK, so dandelions are NOT unique to San Diego, and YES, I have seen them in Chicago. 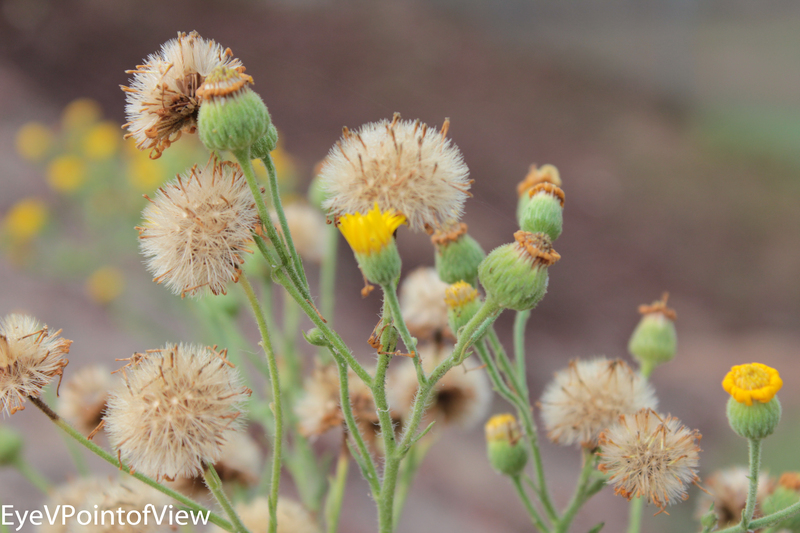 But the yellow buds provide a wonderful contrast to the blooms dried on the stems. Wow! Just what I needed to ward off the mid-winter blahs! Hope you enjoyed it as well. JRJ, thanx for the feedback. 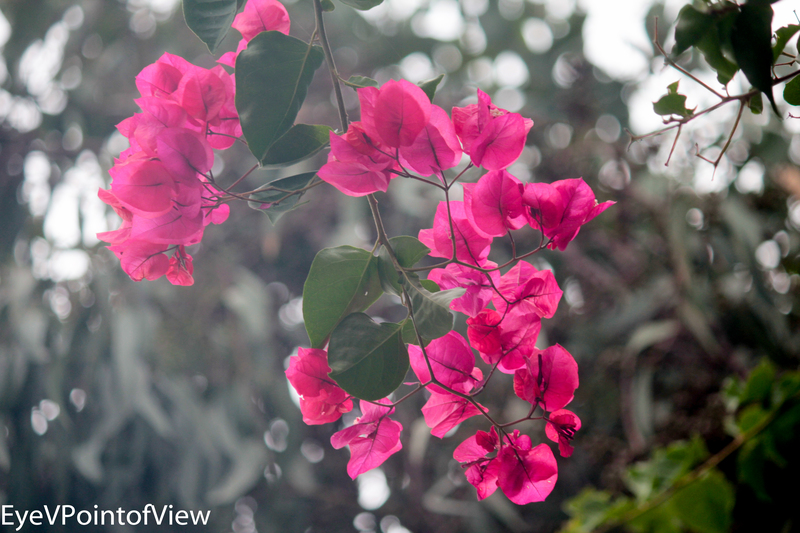 Glad you like the flowers….. yes, i was surprised that the flowering tree that had the pink leaves was called the purple robe (because they are clearly pink!) Thanx for viewing and commenting.